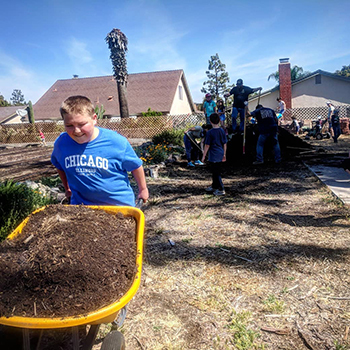 National Volunteer Week was established in 1974 and has grown exponentially each year, with thousands of volunteer projects and special events scheduled throughout the week. This signature week is an opportunity to celebrate the impact of volunteer service and the power of volunteers to come together to tackle tough challenges, and build stronger, more resilient communities. Each year, we shine a light on the people and causes that inspire us to serve, recognizing and thanking volunteers who lend their time, talent and voice to make a difference in their communities. As a volunteer, you'll support older adults in making healthy eating decisions and have the opportunity to interact with older adults and hear their stories. 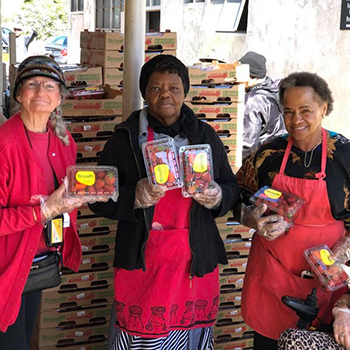 College Avenue is proud to offer bi-monthly farmer's market to its older adult members to give them easier access to fresh produce. 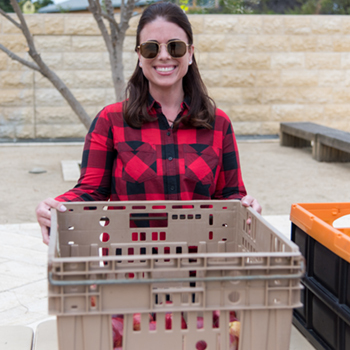 Volunteers are needed to help receive the delivery of produce from the Hand Up Youth Food Pantry at JFS, set up the display using burlap and wooden boxes, distribute the fresh produce and re-fill bins as needed. The College Avenue Social Wellness Center is one of two thriving JFS older adult centers. Hundreds of participants enjoy daily meals, exercise classes, art classes, games, cultural programs, and live entertainment. This is a home away from home for many older adults. Physical Requirements & Important Notes Physical Ability: Ability to stand for the duration of the project and can lift bins that are 25-35 pounds. Attire: Closed-toe shoes are required. If weather permits, this project will take place outside. Bring: Sunscreen, a hat, and sunglasses is recommended. About Jewish Family Service of San Diego Jewish Family Service is a client-centered, impact-driven organization working to build a stronger, healthier, more resilient San Diego. Since 1918, Jewish Family Service of San Diego has been a trusted community resource for individuals and families in times of need. Looking for a unique volunteer opportunity? You can help improve habitat for wildlife at Mission Valley Preserve, a 52-acre wildlife preserve right in San Diego! Volunteers will help to remove non-native plant species, creating a healthy environment for the plants and animals that call our river home. This is the perfect opportunity to learn more about river ecology and witness a physical transformation of the landscape, which translates into improving our environment and the health of our River! Volunteer tasks include chopping, hauling, digging, trimming, and more. They are especially seeking volunteers with QAC/QAL herbicide application certification. All tools and supplies are provided. Project Requirements & Important Notes Attire: Volunteers must wear closed-toe shoes (No sandals, Tom's or other flats. You must wear sturdy tennis or hiking shoes.) and long pants. Dress in clothes that can get dirty. Wearing long sleeves and a hat is highly recommended. Bring: Sun protection and water to drink. They will not have water on site. Location: Weekly meetings will be held at Mission Valley Preserve. Exact meeting location (North or South side of the River) will change depending on the needs that week. Exact address and location information are sent out within 1 business day of your sign-up. If you don't receive the location email, check your spam folder then contact the Opportunity Leader. Waiver: All volunteers must complete a waiver to participate in activities with the San Diego River Park Foundation. To save time at check-in, you may download and bring the completed waiver with you: Adult Waiver or Under 18 Waiver ​Physical Ability: Volunteers should be comfortable with hiking short distances, including navigating through dense vegetation and ducking under it. No experience necessary and all supplies will be provided. Weather: Light rain will not cancel the project. In the event of cancellation, volunteers will be notified via email. ​Note: There is no restroom or water fountain on site, please plan accordingly. ​Court-ordered volunteers are not allowed at this project. About The San Diego River Park Foundation The San Diego River Park Foundation is dedicated to improving the health of the San Diego River and creating a better quality of life for our community through the creation of a 52 mile river-long park system. 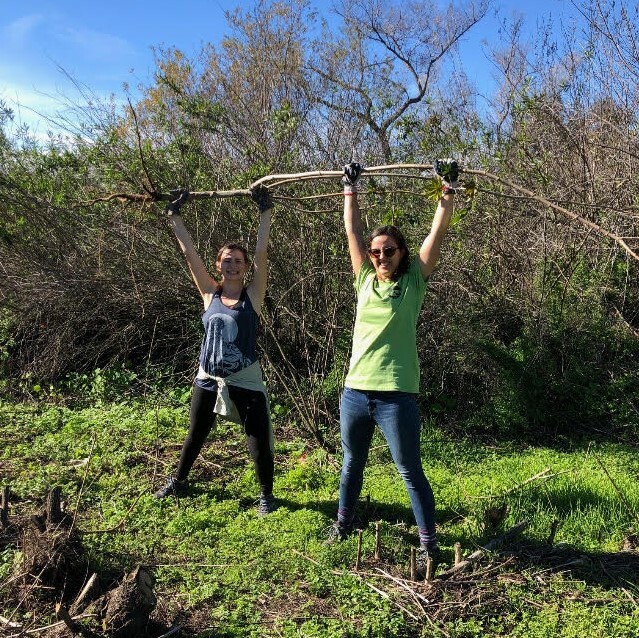 Their programs, projects, and events are designed to connect people to our historic San Diego River and empower the community to steward and celebrate it. Help with the set-up of a weekly food distribution in North Park to low income community members. Each Friday evening New Vision Christian Fellowship serves food for free to the general public and needs volunteers to assist them with this worthy cause, and to help them better serve the community at large. Volunteer activities include: processing food for distribution, setting up the serving area, breaking down and stacking cardboard, and sorting out food unfit for consumption. Let the Team Leader know if you are comfortable using a pallet jack to move larger items. Project Requirements & Important Notes Attire: Closed-toe shoes are required. Wear comfortable loose-fitting clothing that may get dirty. 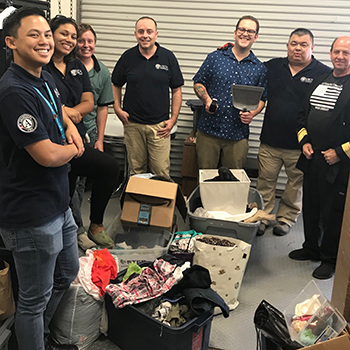 Physical Ability: Volunteerwork may entail bending, light lifting (up to 20 pounds), standing (up to an hour), and interacting with hundreds of people. Weather: The food distribution will go on as scheduled regardless of the weather, barring extreme weather or enviromental conditions unlikely in our region. Religious Observance: New Vision is a Southern Baptist Christian Fellowship organization. Volunteers may choose to participate or opt out as desired in any prayer services that are observed. ​Note: All new volunteers are required to watch a 15 minute orientation video at the beginning of their shift. About New Vision Christian Fellowship We are a group of believers who long to express their love to God and to others. We've come to realize that we are broken people who have been restored by the healer’s hand. We acknowledge that we don’t know it all, but know the one who does. We invite others who have been broken to join us on a journey where we can discover the healers hand together and restore us back to a right relationship with Him and each other. Kickstart your weekend by helping with the setup, breakdown, cleanup and actual distribution of food to the community. Each Friday evening New Vision Christian Fellowship serves food for free to the general public and needs volunteers to assist them with this worthy cause, and to help them better serve the community at large. Volunteer activities include: sorting, separating, and bagging up food (fruits, vegetables, bread, pastry and other edible items), helping pass out food to the line, and assisting with breakdown and cleanup of the Fellowship Hall after the distribution has ended. Project Requirements & Important Notes Attire: Closed-toe shoes are required. Wear comfortable loose-fitting clothing that may get dirty. 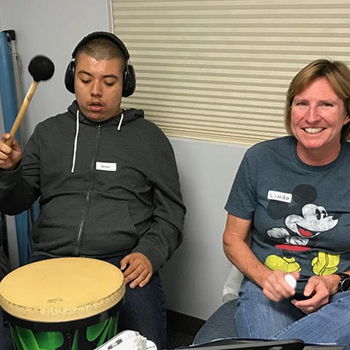 Physical Ability: Volunteerwork may entail bending, light lifting (up to 20 pounds), standing (up to an hour), and interacting with hundreds of people. Weather: The food distribution will go on as scheduled regardless of the weather, barring extreme weather or enviromental conditions unlikely in our region. Religious Observance: New Vision is a Southern Baptist Christian Fellowship organization. A brief prayer service will be observed at 4:30PM, volunteers may choose to participate or opt out as desired. ​Note: All new volunteers are required to watch a 15 minute orientation video at the beginning of their shift. About New Vision Christian Fellowship We are a group of believers who long to express their love to God and to others. We've come to realize that we are broken people who have been restored by the healer’s hand. We acknowledge that we don’t know it all, but know the one who does. We invite others who have been broken to join us on a journey where we can discover the healers hand together and restore us back to a right relationship with Him and each other. 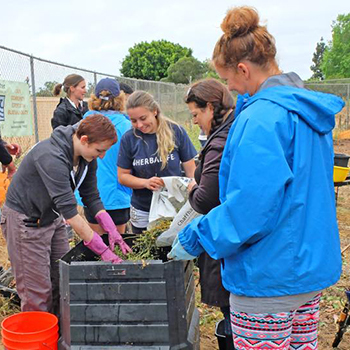 Volunteers will gather point-in-time data to document invasive plant species and density in specific areas along tributaries that feed into the San Diego River to measure the health of the River and strategize future plans of action. This hands-on opportunity is a unique chance to see hidden natural spots in San Diego County, and a great way to make a difference for the future of the river and surrounding area. These annual plant surveys are critical to plan habitat restoration projects as part of the San Diego River Park Foundation's overall conservation strategy. Project Requirements & Important Notes Attire: You must dress in long pants and closed-toe shoes. Shoes must be either tennis shoes or hiking boots--no Toms or other flats. Please dress in layers as the temperature can change throughout the day. Bring: A reusable water bottle and sun protection (sunscreen, hat). All supplies are provided. ​Physical Ability: Volunteers should be comfortable with hiking short distances, including going up and down embankments and ducking around under vegetation. ​Location: Exact address and location information are sent out within 1 business day of your sign-up. If you don't receive the location email, check your spam folder then contact the Opportunity Leader. Waiver: All volunteers must complete a waiver to participate in activities with the San Diego River Park Foundation. To save time at check-in, you may download and bring the completed waiver with you: Adult Waiver or Under 18 Waiver Note: The mapping app that they use is called MapplerK2. If you have a smartphone, please download the app before the activity. MapplerK2 is available on Google Play as well as the Apple App Store. No restrooms or water fountains will be available on site, please plan accordingly. Light rain will not cancel this project. About The San Diego River Park Foundation The San Diego River Park Foundation is dedicated to improving the health of the San Diego River and creating a better quality of life for our community through the creation of a 52 mile river-long park system. 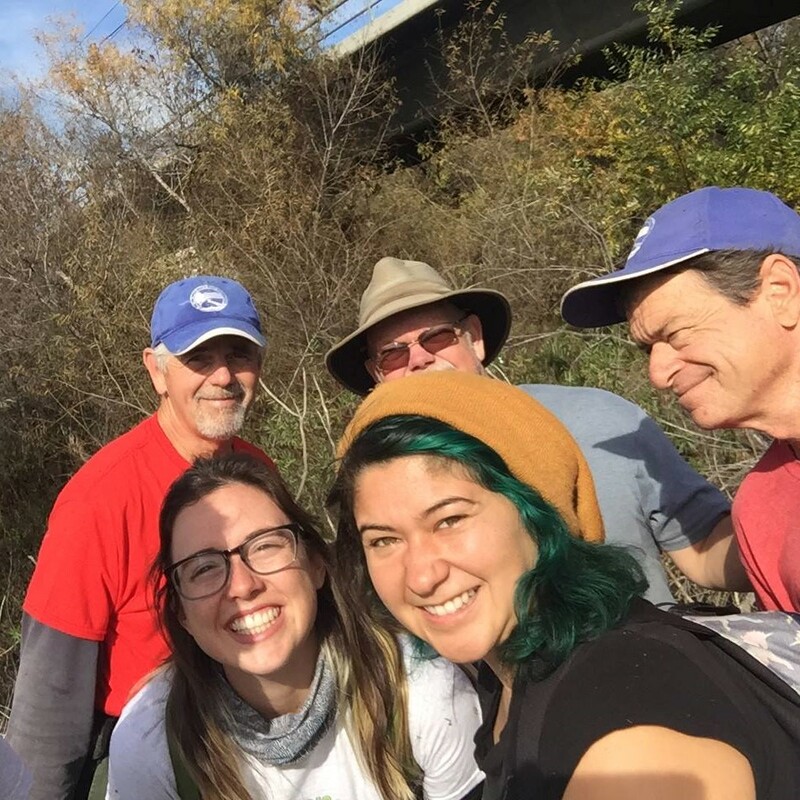 Their programs, projects, and events are designed to connect people to our historic San Diego River and empower the community to steward and celebrate it.